The Capital One® Spark® Miles for Business and Capital One® Spark® Cash for Business are two of Capital One’s popular business credit cards. 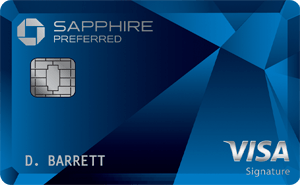 The cards ordinarily offer welcome bonuses of up to 50,000 miles and $500, respectively, upon completing minimum spend. However, at the moment they have big new limited time bonuses for any business that spends a lot on credit cards, of up to 200,000 miles and $2,000, respectively. Let’s look at the details of these offers. The Capital One Spark Miles for Business offers two miles per dollar spent. Each mile can be redeemed for one cent towards a travel purchase. The card has a $95 annual fee that’s waived the first year. At the moment the card even has an incredible welcome bonus. In other words, if you spent a total of $50,000 on the card within six months you’d earn 300,000 miles (200,000 bonus miles, plus the 100,000 miles you ordinarily earn for spending $50,000). Those miles are enough for $3,000 worth of travel, which is pretty awesome. That’s the equivalent of 6% back towards travel. Even better, points earned through the Spark Miles will be able to transfer to airline partners beginning in December. Obviously this won’t be for every business — if you don’t spend that much on credit cards then you won’t be able to max this out, but for a business that spends a lot on credit cards (and there are lots out there), this is a great option. As I said above, obviously this makes the most sense for businesses that spend a significant amount, so that you can max out this bonus. The Capital One Spark Miles for Business and Capital One Spark Cash for Business have long been excellent business cards. Now these cards have fantastic new welcome bonuses for businesses that spend a significant amount. Hopefully lots of you can benefit from these great bonuses. @Ben – How useful are Capital One points as a transfer currency? Is it comparable to Chase/Amex? Can I get both cards or is it restricted to just one? Could I redeem the Cash credits in a check or does it have to be a statement credit? Was just thinking of making a big purchase for the $$ and then dumping. Is there an end date on this promotion? Are you certain Spark and Venture miles will both be transferable? In other words are all Capital One miles the same? Just making sure before I apply and put $50k on a card to hit the max bonus. FYI — capital one business cards have been known to count toward 5/24 which I think is an important point in any post with links to these cards. @ Scott — Not all Capital One miles are the same, but those earned on the Venture, VentureOne, Spark Miles (not Cash!) and Spark Miles Select will all be transferable. Capital One cards available in Canada is very weak stuff. No Spark for us canucks! Any issues with using Paypal spend to get to $50,000 spend for Bonus? With a 6% return this seems worth it to take the 2.5% cost of using Paypal for some of the spend. I’m not sure that 6% return on $50K spend is so great considering this is a sign-up bonus offer. One could get considerably more value (say, $2,400 of value at a conservative 1 point per dollar base earning and 1.5 cents per point valuation) by signing up for three Chase / AMEX cards with 50,000 mile bonuses and $5K spend requirements. That would be a much more manageable spend of $15K and a return of 16%. The problem, of course, is if you have $50K of spend how you can deploy it against sign-up bonuses with the limited sign-up velocity now allowed by the major banks. I can spend 50,000$ personally. Can I sign up for the business cards without actually having a business. I just applied for this card a month ago. Does anyone have any positive datapoints about capital one matching bonuses? Also, is there any information on if I could just apply for a 2nd card? poop i got approved for wrong card…spark cash not miles,… im so screwed… and i hit threshold!!help! !